This deluxe, illustrated edition celebrates the New York Times-bestselling series, The Kingkiller Chronicle—a masterful epic fantasy saga that has inspired readers worldwide. Patrick Rothfuss is the bestselling author of The Kingkiller Chronicle. His first novel, The Name of the Wind, won the Quill Award and was a Publishers Weekly Best Book of the Year. 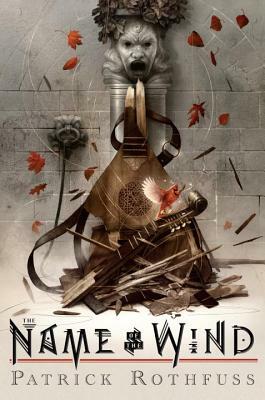 Its sequel, The Wise Man’s Fear, debuted at #1 on The New York Times bestseller chart and won the David Gemmell Legend Award. His novels have appeared on NPR’s Top 100 Science Fiction/Fantasy Books list and Locus’ Best 21st Century Fantasy Novels list. Pat lives in Wisconsin, where he brews mead, builds box forts with his children, and runs Worldbuilders, a book-centered charity that has raised more than six million dollars for Heifer International. He can be found at patrickrothfuss.com and on Twitter at @patrickrothfuss. “The great new fantasy writer we've been waiting for, and this is an astonishing book."